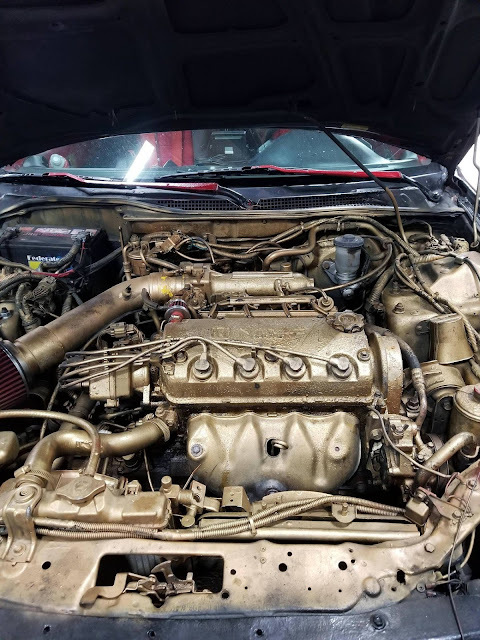 Just A Car Guy: what sort of dingus wastes a can of gold spray paint under the hood? And why did they bother? what sort of dingus wastes a can of gold spray paint under the hood? And why did they bother?